Sydney, New South Wales (June 16, 2014) – If there’s anything an experienced lifestyle and beauty PR Agency knows, it’s that fashion and style are constantly in a state of flux. This season, Polkadot PR will highlight two of hair treatment product manufacturer De Lorenzo’s most incredible offerings: the Novasemi Colour Mousse Collection and their Elements Water range. On 9th June, De Lorenzo released three new Novasemi shades. Part of a Limited Edition Colour Collection, the new range of colours features the playful candy tones Fairy Floss Pink, Sugar Plum Purple and Candylicious Blue. Designed to convey fun, youthfulness, style and individuality, the collection draws inspiration from recent celebrity hair colour fashion. Following De Lorenzo’s brand strategy, Polkadot PR will market Fairy Floss Pink’s adventurous yet feminine cotton candy tone to those enjoy who Nicki Minaj and Gwen Stefani’s bold and beautiful style. 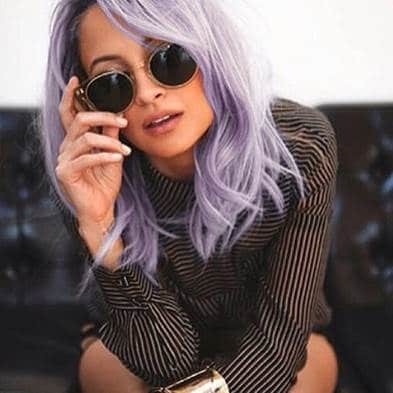 Sugar Plum Purple’s scrumptious, autumn-hued violet tone is aimed at those following in Nicole Richie’s fashionista style. Meanwhile, Candylicious Blue’s flirty turquoise blue should appeal to those who want to make a flamboyant fashion statement, just like Katy Perry. For Elements Water, a range of natural styling tools designed to create natural-looking hairstyles, Polkadot PR will highlight De Lorenzo’s use of Australian native ingredients. The company will also feature the collection’s ability to allow hair to retain its shape, using ‘elemental shape memory’, and the next-generation polymer to provide all-day hold with flexible, natural movement, and without the tackiness or crunchiness typical of other products. Drawing on its extensive expertise in the beauty industry and its team’s experience in positioning hair treatment brands for media exposure, Polkadot PR is pitching De Lorenzo to some of the country’s most respected beauty media. Having worked with industry titles like Australian Hair and Beauty, Hair Biz, Professional Beauty, Culture, Instyle Trade, and The Journal in the past, the boutique Sydney PR Agency is looking to position its client for editorial coverage in similarly prestigious publications. To find out more about Polkadot PR and the invaluable service it provides its clients, visit www.PolkadotPR.com for more information. With a team of enthusiastic individuals passionate about making an impact in the public relations industry, Polkadot PR is a leading provider of public relations services for the beauty, lifestyle, travel, home, food and beverage industries. The company offers a wide range of services, including strategy, social media, media relations, stunts and photo calls, event management, sponsorship, copywriting, celebrity seeding, photography, and advertising, and has worked with many A-list brands.